Recently I read A Casual Vacancy by J.K. Rowling and Unspoken by Sarah Rees Brennan. 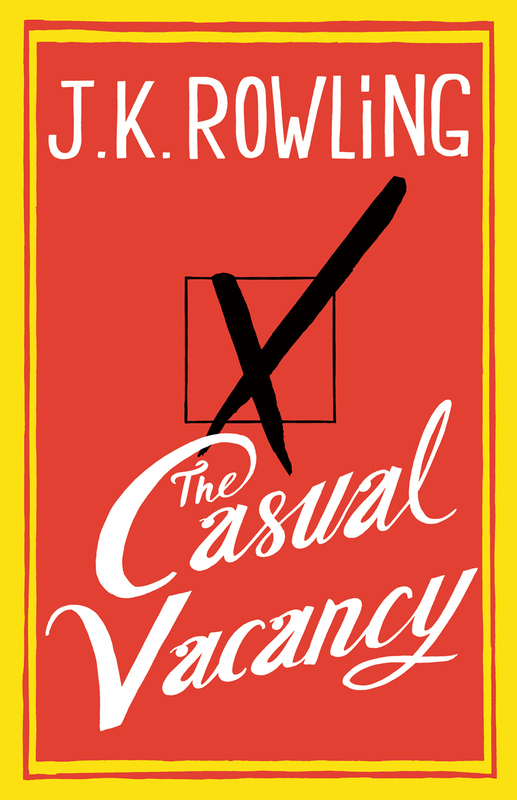 I will discuss A Casual Vacancy first. A Casual Vacancy was very well written and edited. I will give Rowling that. The book reminded me of a Maeve Binchy book, except Binchy's books aren't filled with foul language and despicable characters. I care about the characters in Binchy's books, but I did not care what happened to the characters in A Casual Vacancy. Rowling said in an interview that she expected everyone to cry at the end of the book. Well I didn't cry, and I wasn't surprised. I was sad that I would never get back those lost hours from reading it, though. Rowling packs the book with filth, and it comes off as juvenile. Why do we need an adolescent male describing female genitalia in infinite detail? Really??? It is as if Rowling was trying so hard to write an adult book that she felt compelled to put every adult situation and dirty word she could think of in it. As far as the humor in the book? I did not see it at all. Another thing I hated is that Rowling's tone seemed preachy to me. It's fine for writers to care about social issues, but even if I agree with a writer, I don't like to be lectured to in the guise of a fictitious story. Don't waste your time and money on this one. 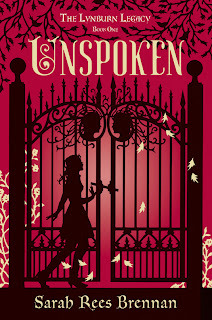 Now on to a more positive note, I read a delightful young adult book entitled Unspoken by Sarah Rees Brennan. I loved this gothic novel! Brennan has created a world unique in YA fiction. 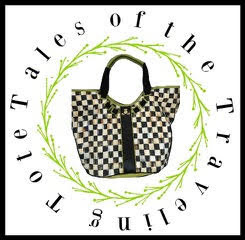 The main character, Kami Glass, lives in a pretty little English village built of Cotswold stone called Sorry-in-the-Vale. She has an imaginary friend who has spoken to Kami inside her head since she was a baby. Everyone in her village knows that when Kami gets a faraway look in her eye, she is having an internal conversation with her friend. Of course this unnerves people; she is an oddity. 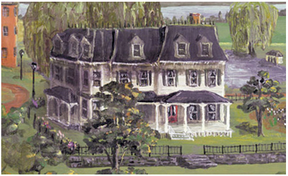 The Lynburn family owns the huge manor Aurimere House that sits high on a hill overshadowing the village. The family had been absent for many years, but now they're back. Suddenly Kami comes face to face with Jared Lynburn: The boy inside her head is real. Kami and her friends start a school newspaper, and Jared and his cousin Ash sign-up for the paper, too. Their goal is to write difficult articles through investigative journalism because Sorry-in-the-Vale is full of secrets. There has been a ritualistic animal mutilation in the woods behind Kami's home, and one of her classmates is brutally murdered. Plus everyone in the village discusses the Lynburns in whispers, her mother is hiding a family secret, and Kami discovers she has powers of her own. 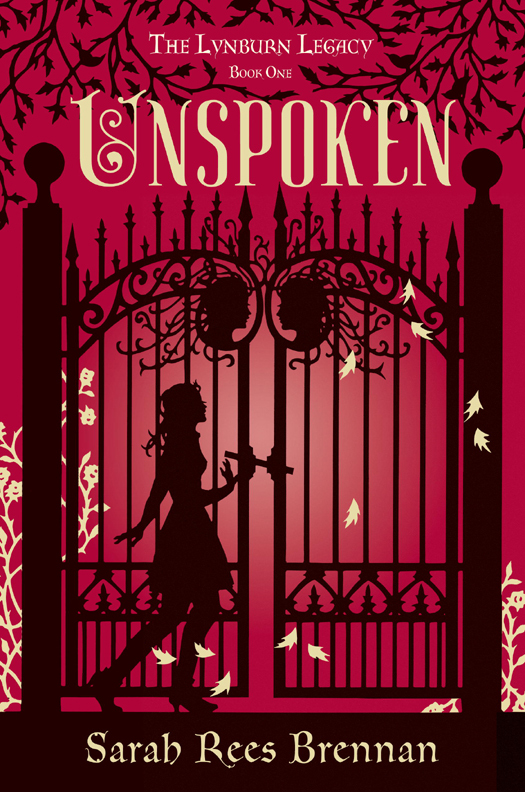 Unspoken is the first book in The Lynburn Legacy series, and I'm looking forward to the next installment. Book one ends in heartbreak, but I am hoping that Kami and Jared will have a chance for happiness. O my word, Unspoken sounds fantastic! With regards to the other book, I'll give it a miss, I hate it when people are crude and swear just for what seems the sake of shocking people. Hey I missed you at book club yesterday. I hope you join us next time. I'm totally bummed to hear that JK Rowlings book is a flop. I agree with you I don't want to read excessive cussing and over the top sexual descriptions. They just arn't necessary. Unspoken looks fantastic I am going to go add it to my Wish List right now! Great reviews. I'm off to write mine up and come back and share. I had heard that the characters in Rowling's book were pretty unlikable. I don't think I would like it either. Sounds unpleasant. Thank you for the reviews! I'll be skipping JK Rowlings book..there are too many good books out there to waste hours on bad ones. 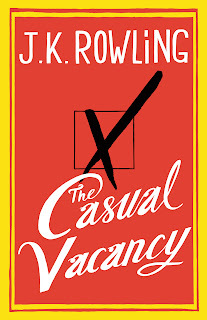 I was waiting to see if your review of The Casual Vacancy would be along the lines of the 1-star reviews I had been seeing on Amazon, and it was--unlikable characters and the appearance of going over the top to prove that she could write adult fiction. Unspoken sounds very interesting. I had just decided that I was going to give YA books a rest for awhile, but this one sounds good, although I am not in the mood for heartbreaking endings at the moment. I have been in a bit of a reading funk lately. All my usual authors' books have not been grabbing my interest. Then when I do find a good book and finish it, I struggle trying to find something else to follow it. Thank you for the reviews. I think your review of Rowling's adult book is in line with what others have said. Unspoken sounds good. I don't normally read YA fiction, but I may have to check this one out. Thanks for hostessing Literary Friday! Hi pretty RJ! You know, I never read the HPs or nor did I see the movies. I guess I'm old! :) I don't think I would like Ms Rowlings book either. Sounds like she should have stuck with children's books. Now the other book sounds great to me. I love a little spooky and this sounds great. I'll be on the lookout for it. Thanks for your book reports! I'll bet you did a wonderful job on them when you were in school. I am curious...are you by chance, left handed? Now I'm curious to know what my daughter thinks of Rowling's new book. She loved the HP series. It doesn't sound very promising from your review. Thanks for the reviews. I just bought "In the Shadow of the Banyan", but I haven't started it yet - heard it was wonderful! Oh....good to know, thank you! I will keep away from The Casual Vacancy (I, too, hate when there's gratuitous foul language in a novel, as it thrusts me out of the story). I appreciate your reviews! Thanks for the info on books...note to self, skip new Rowling book. Don't remember you ever saying you hated a book so it must be bad. I will tell you that lots of bad language is a turn-off to me too.